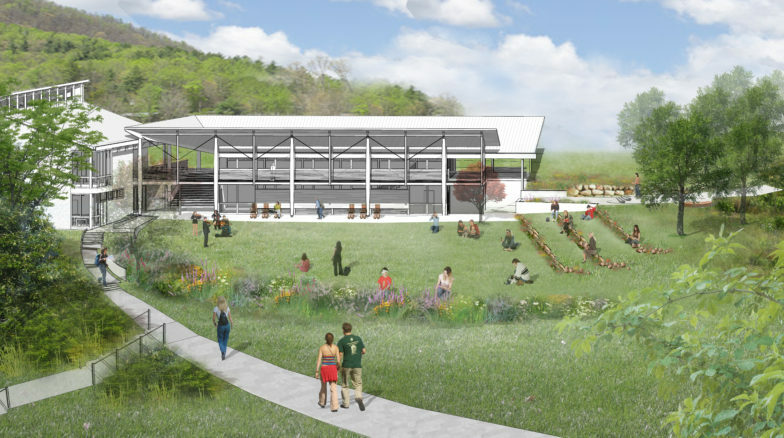 Surface 678 is working with Penland School of Crafts to replace their existing Northlight Building with a new complex that will be roughly 15,000 to 20,000 square feet on a two-acre site. 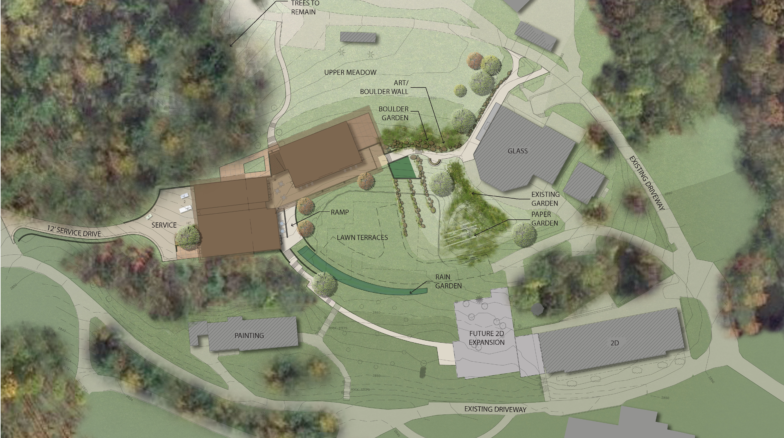 The new building and site area will feature a new photography studio, papermaking studio, flexible classroom space and social hall functions, along with outdoor studio space, front porch seating and reused concrete boulder seatwalls made from along the edge of the greenspace. The outdoor space takes advantage of the scenic mountains surrounding the site. Surface 678’s design focuses on integrating several stormwater management devices into the outdoor seating areas and overall campus circulation, as water runoff from the surrounding mountains to the north is cited as a large concern by Penland. The design features two rain gardens with native, low-maintenance plantings to remove pollutants and reduce stormwater runoff into the surrounding streams. Our design also takes campus circulation patterns into account in order to maximize the placement of the new pathways surrounding the campus.